Be better prepared for the unexpected with our smart-technology burglar alarm systems. 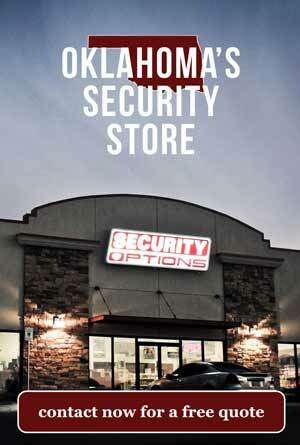 We routinely deliver the personal service that matters most to homeowners in Ardmore, OK. We strive to build lasting relationships with our clients by offering the attentive service that matters when selecting home security options. Each system is operated with a 2Gig security and control panel with color, touchscreen interface. It runs on cellular radio technology that eliminates the need to depend on landlines and cords that may be cut during an attempted break-in. Two-way voice response allows the central station to determine if an activation is an actual emergency or a false alarm. This technology can also be applied during situations when immediate medical assistance is necessary. What Happens During a Burglary Attempt? The central station will dispatch local police to your home Ardmore in the event of an attempted burglary. If you’re not home, you’ll receive an immediate alert and receive real-time updates until the situation is resolved. Monitoring is provided 24 hours a day, seven days a week for your added peace of mind. Our burglar alarm systems work with 100-percent wireless technology that’s accessible from the Alarm.com app. The smart, simple controls are available on any device you may own, including smartphones, tablets, smartwatches, and laptops. The app can also be linked to other forms of smart technology you may have in your home to allow for greater flexibility and convenience. When you join other homeowners in Ardmore, OK, and sign up for our services, we’ll give you a special thank you. Client satisfaction is our mission. We’re a trusted company backed by a team that’s experienced and passionate about offering the best overall value to our customers in Ardmore, OK. From initial installation to continued support, we’re your one-stop source for home security. Call today for more information on our burglar alarm systems.